Providing you the best range of core cutting services, rock cutting services and under water cutting service with effective & timely delivery. The Core Cutting Services is a purposely designed coring saw. The saw is designed in such a way that it combines efficiency, safety, and a special layout to avoid any induced core damage when processing the core. The service includes a qualified operator with experience in handling and processing cores. The saw is self-contained inside a steel box to maximize safety for the operator and personnel in the surrounding area. The blade is mounted on a rigid frame and the power is transmitted by means of a fully contained drive belt. 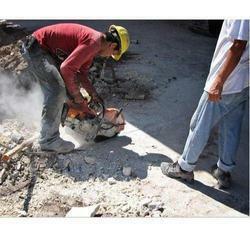 We excel in offering a wide range of Rock Cutting Services. These are extensively recommended by clients owing to versatility reliability and punctuality. We make use of best available technologies, to render these services and ensure an excellent finish in our services. We offer these services at market leading rates. It has been known in the field of Under Water Cutting Service for quite long. 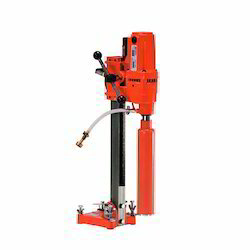 We have the sophisticated cutting equipment to carry out underwater cutting works. 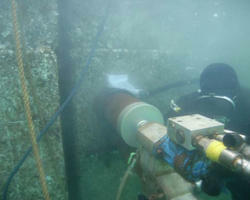 We also provide the experienced team of divers to carry out cutting works.